See also the previous post…. 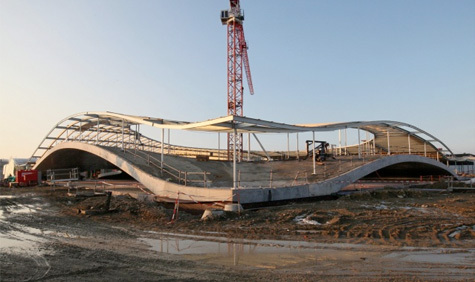 Note the symilarity in the shape of the ceilings and The change in the foors…. 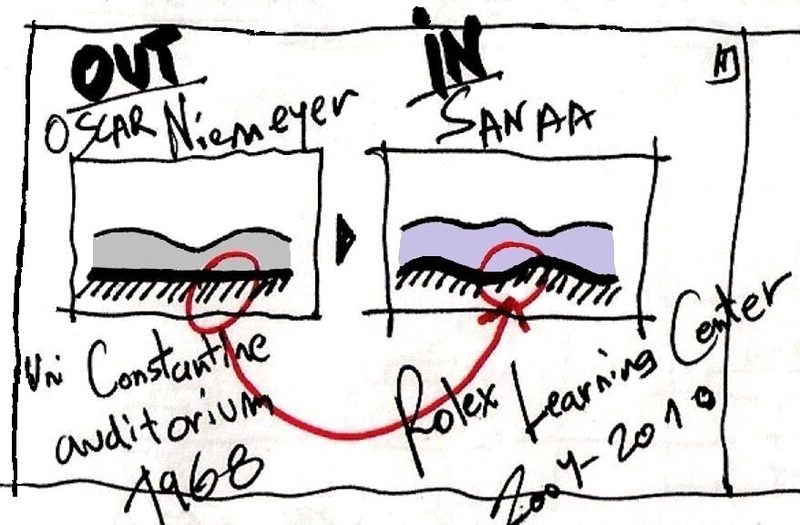 This entry was posted on January 4, 2011 at 4:55 pm and is filed under public buildings with tags Conscious Inspiration, eliinbar sketchbook 2011, Oscar Niemeyer, Rolex Learning Center, SANAA, university of Constantine auditorium. You can follow any responses to this entry through the RSS 2.0 feed. You can leave a response, or trackback from your own site.